Dali Polyester Bags: The Dali Tote has white 190D polyester front and back panels accented by black gussets and handles. 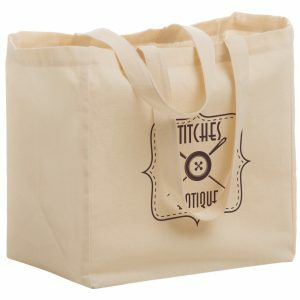 A 6″ x 5 ½” attached floating pocket transforms into a self-storage pouch. 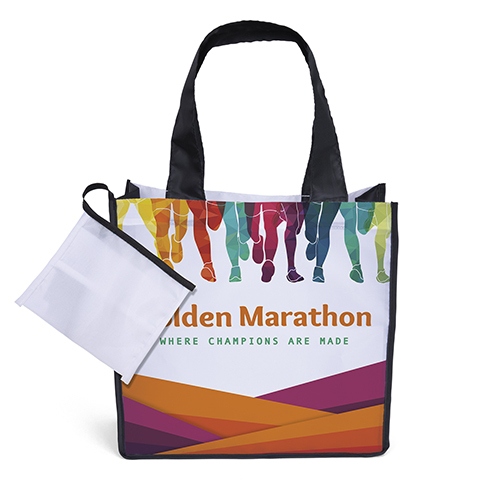 Dali Polyester Bags are a great idea when it comes to your next promotional campaign. 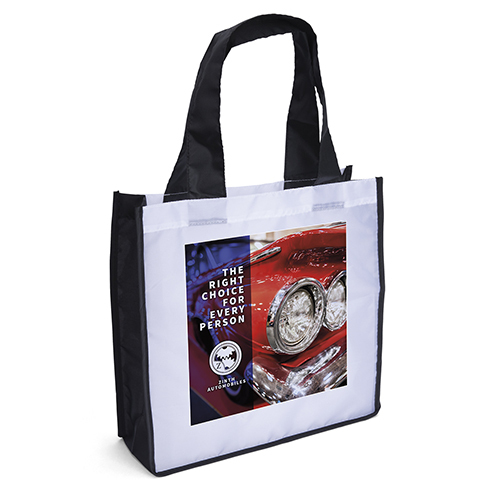 The Dali Tote is a recycled bag that has white 190D polyester front and back panels accented by black gussets and handles. A 6″ x 5 ½” attached floating pocket transforms into a self-storage pouch. 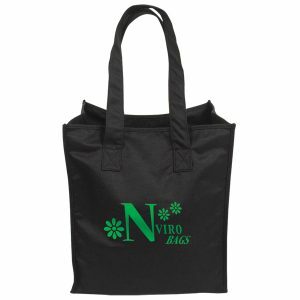 View our complete line of reusable bags here. 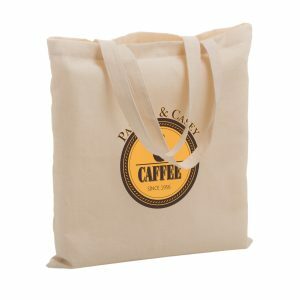 Is your business looking for a top eco shopping bags supplier? You have found the right company. Here at customgreenpromos.com we have years of experience. All of our prices are affordable and we have a large stock of items. 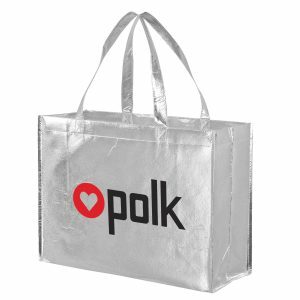 We offer a large selection of top quality poly bags. 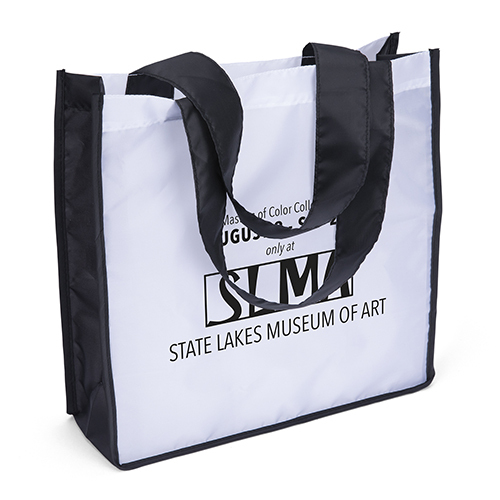 The Dali Tote has white 190D polyester front and back panels accented by black gussets and handles. A 6″ x 5 ½” attached floating pocket transforms into a self-storage pouch.